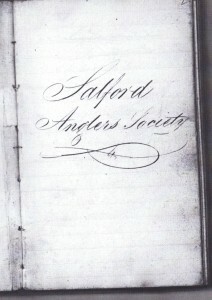 As a result of the passing of the Friendly Societies Act in 1817 a group of like minded anglers in Salford, Lancashire decided to institute a Friendly Society for the benefit of local anglers. 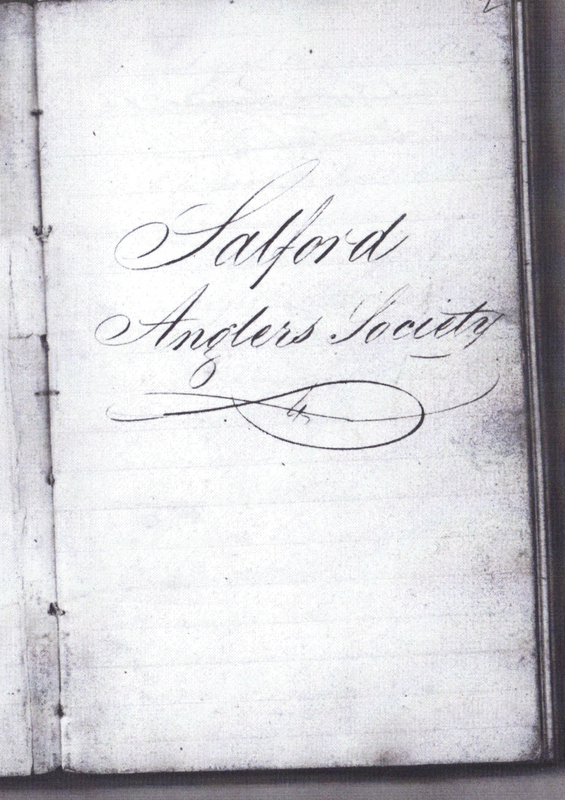 Salford Friendly Anglers was instituted on 2nd April 1817. 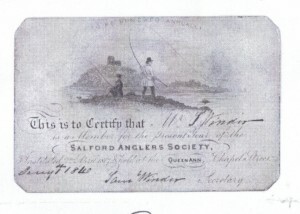 As well as offering fishing on the local River Irwell, society members as part of their subscriptions paid into monthly savings, sickness and death benefit policies. 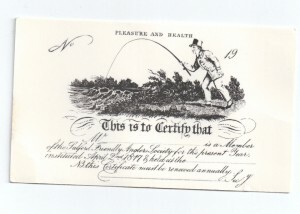 To qualify for the “Sick Club” anglers between the ages of 18 and 35 paid in 6 pence a fortnight – and if an angler was unable to work through an accident or ill health received an income of 5 shillings a month whilst unable to work. If a member died – then a levy of one shilling per member was paid out from club funds… It is worth remembering that in the early 1800s the average male life expectancy in Salford was under 35 years. The society did not pay any benefits to anglers once they reached 50 years of age. 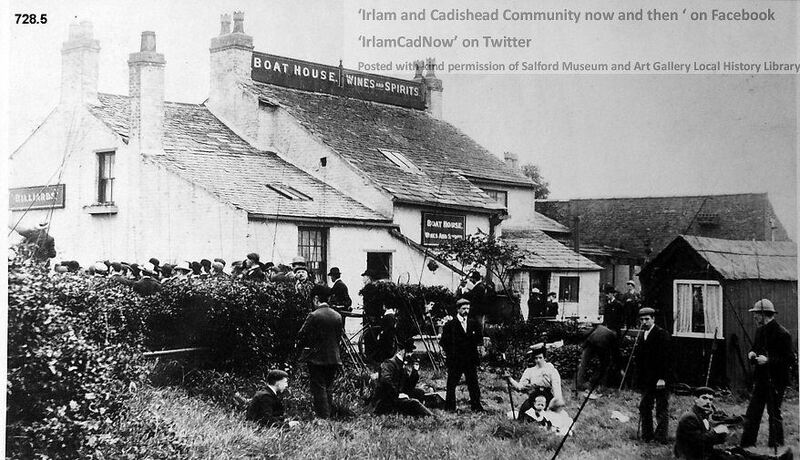 The earliest membership card we can find was printed for the 1840 season, and we think that the image in the back ground shows the original “Castle Irwell” which was demolished when the Salford Racecourse was built (also now long gone). 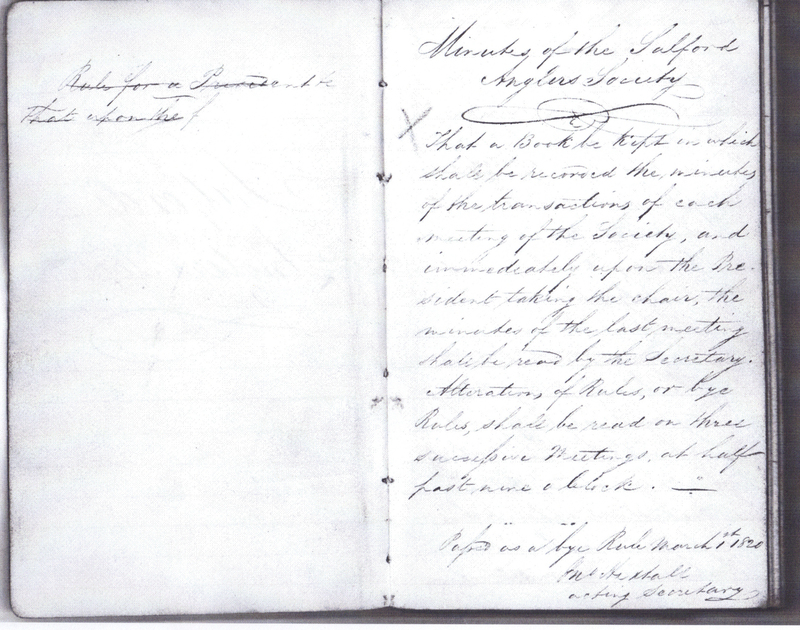 There is an extensive archive of our Societies earliest records, these are now held in the National Archive, if you wish to view some our many original documents please contact us and we will be more than happy to arrange a viewing for you. 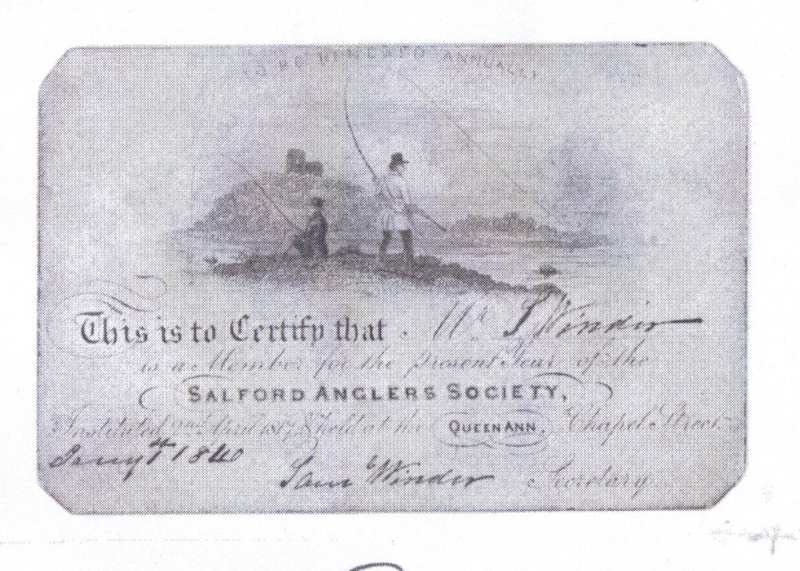 One of the favourite items in the archive is a letter from the early 1900s from a member called Thomas Hare… This letter describes his families involvement with Salford Friendly Anglers Society, and gives a great account of how fishing matches were conducted in the late 1800s….. click here to see a copy of the original letter,,, and to read our transcription of the contents. 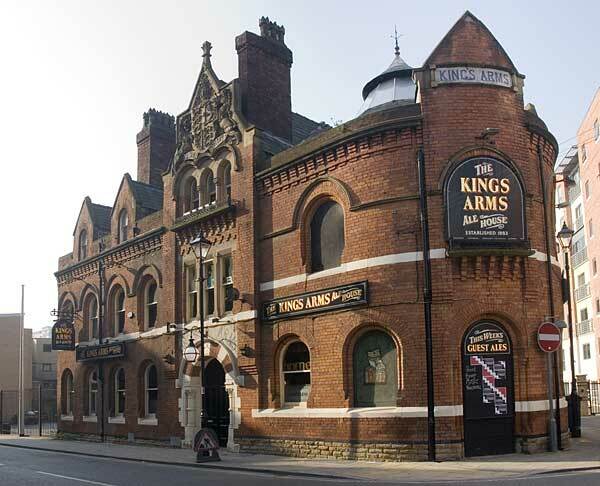 The Salford Friendly Anglers first met at the Queen Anne Hotel on Chapel St in Salford, before moving around using various pubs in the local vicinity as a base. 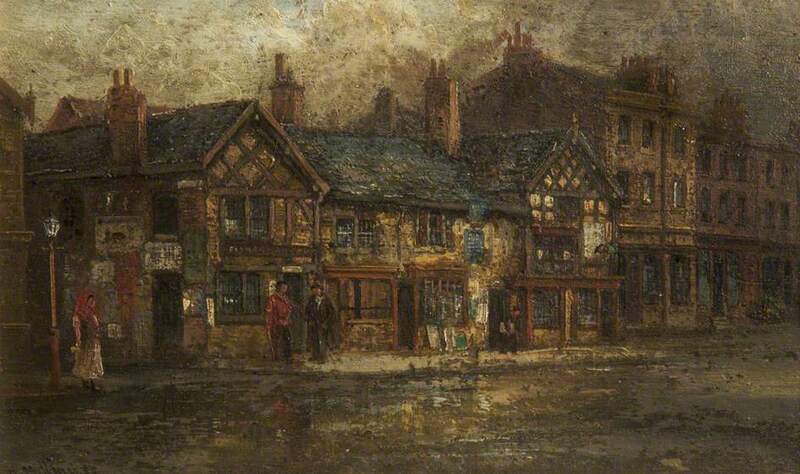 However in the 1860s the club purchased their own pub which was appropriately named “The Fishermans Hut” which became the societies base for over 40 years. A global financial crisis occurred in the 1890s (a recurring theme ? 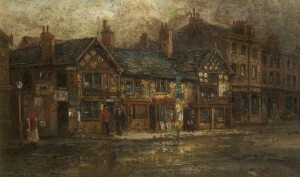 ), and new tighter banking rules were introduced which prevented the Salford Friendly Society from continuing as a financial institution. 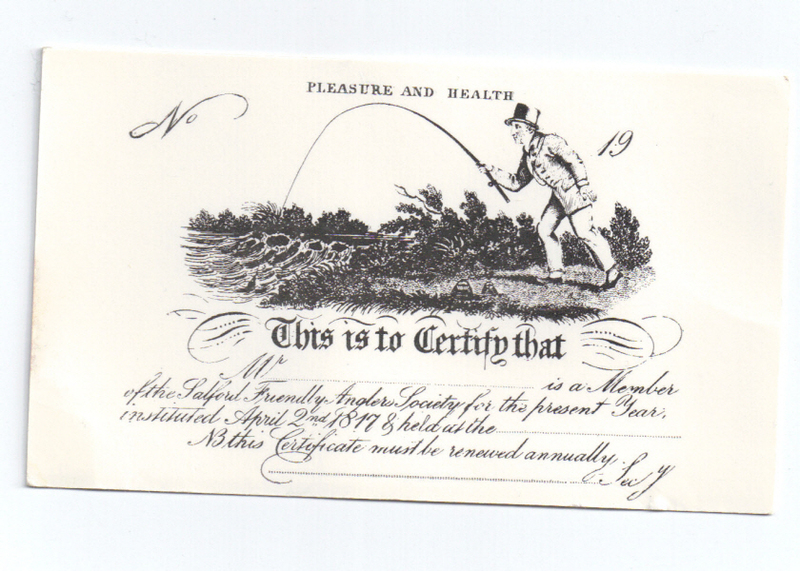 It did continue its fishing activities – but the change can be seen in the rule book of 1904 where there isn’t a mention of sickness or death benefits (though the price of membership had doubled to a shilling a fortnight). 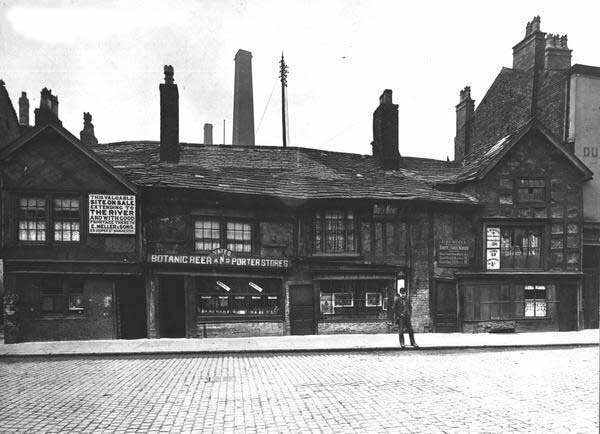 Due to the Societies change in financial fortunes the Fishermans Hut was eventually sold and became one of the first “Yates Wine Lodge” in the UK selling botanical porters…. the Fishermans hut was demolished in the early 1900s and is now a red brick office building exists in its place. 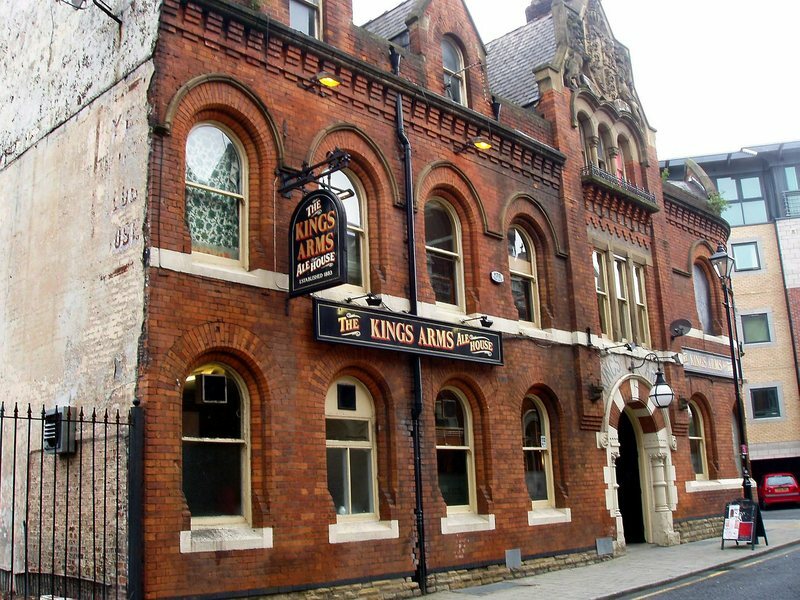 Salford Friendly Anglers then adopted the Kings Arms Hotel on Bloom St, Salford as their new base – and the Society has been meeting there on a regular basis ever since. A sign “Ye Anglers Club House” can still be made out on the brickwork on the gable end of pub – but is alas – now very much faded. 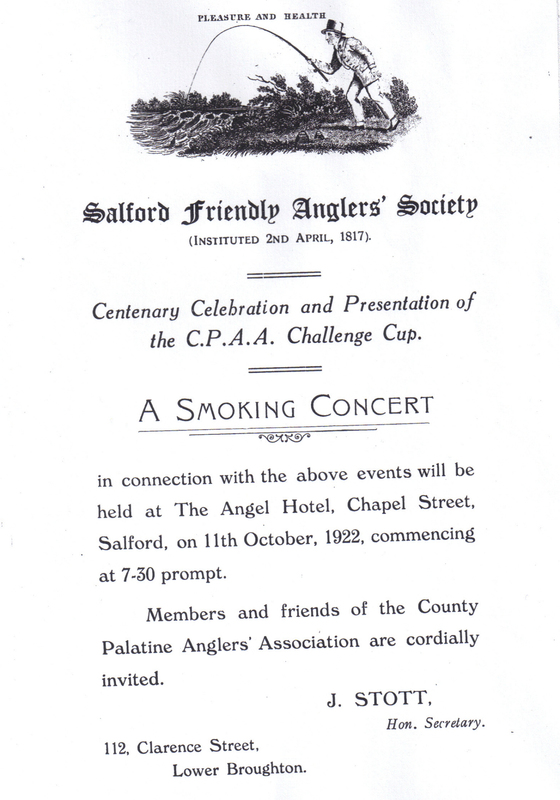 Celebrating our 100 year anniversary a few years late…….. many members were lost fighting as part of Pals Brigades in the 1st World War – the club amalgamated with the Lancashire County Palatine Angling Association in order to survive. 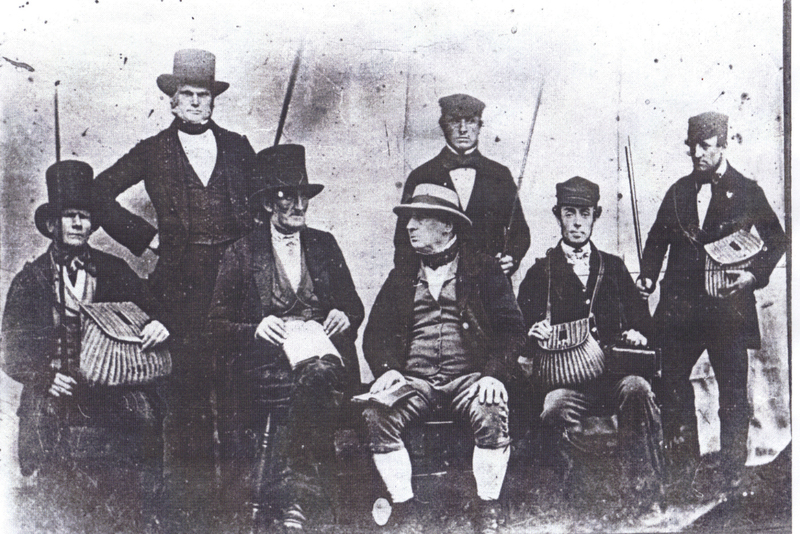 In the 1890s Salford Friendly Anglers took on the fishing rights at the Old River Irwell in Irlam – and restocked the lake and held fishing matches to celebrate the Diamond Jubilee of Queen Victoria. After the 1st world war – The Society was greatly depleted in numbers, and became a private members club….. 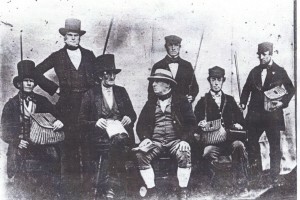 It gave up its traditional fishing rights on the River Irwell, at Barton Moss, and The Old River in Irlam and members fished in a variety of other clubs waters, and the club developed amalgamations/associatons withe the Lancashire County Palatine Angling Club, and Groves And Whitnall Anglers (later they became Greenhall Whitley Anglers). 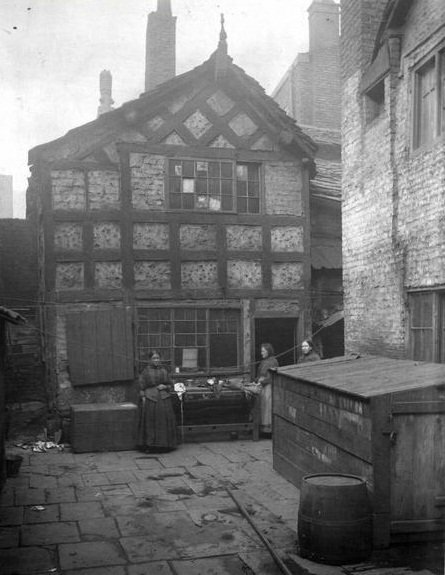 By the late 1990/early 2000s the societies membership had dwindled to less than a dozen members (mostly comprising of the Longden family of Salford)…. 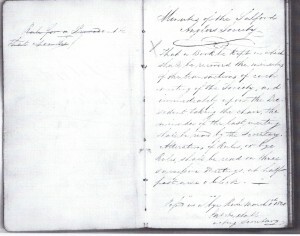 and the historic records of the club we passed into the safe keeping of the National Archive.. However, a new committee re-invigorated The Society during the late 2000s and early 2010s resulting in a massive increase in membership, the re-establishment of the clubs traditional fishing rights and a new set of rules and constitution. This massive turnaround in interest was mainly derived from the committees decision to offer free membership (to encourage local people to take up fishing as a pastime).. membership rose from 10 in 2008 to nearly 4,000 in 2017. In addition to securing fishing rights on 8 lakes, 13 miles of canal, and 6 miles of River… the committee has overseen the restocking more than 50,000 fish into local venues in recent years to ensure that anglers can continue to enjoy great sport. 13,000 roach, rudd, crucian carp and bream into Drinkwater Park Lake in partnership with the Forestry Commission. 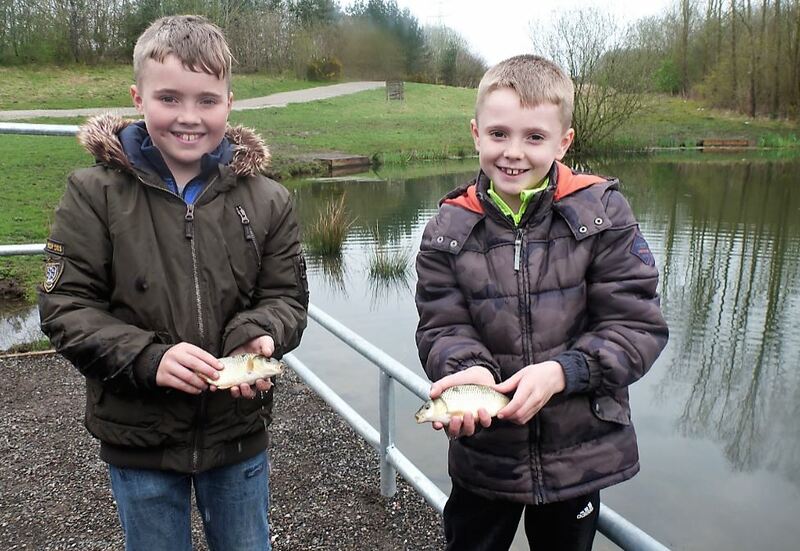 100 carp into Salford Quays….